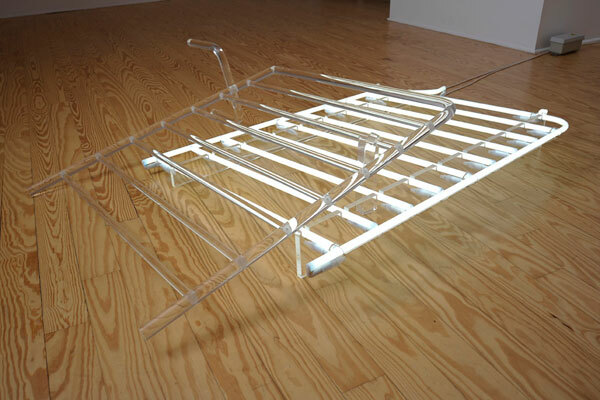 “Barrier” was first exhibited in Anna Lascari’s solo show Suspended Forces at a. antonopoulou gallery in 2013. 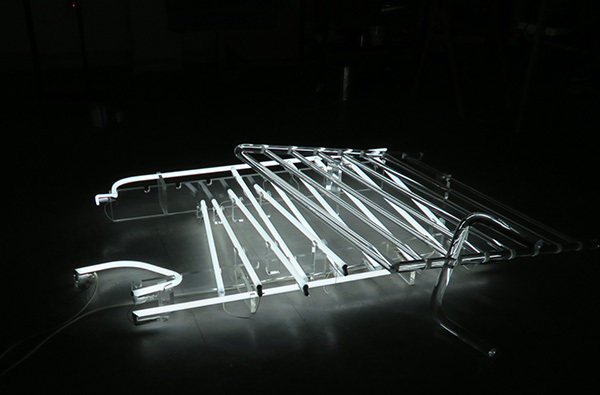 The work, two halves of a police barrier made of neon and plexiglas, piled on each other, makes reference to and comments on the 2011 and 2012 uprisings which took place in Athens. The same year, “Barrier,” was exhibited in The Mediterranean Experience: The Mediterranean as a spatial paradigm for the circulation of ideas and meaning. An introduction, curated by Denys Zacharopoulos. 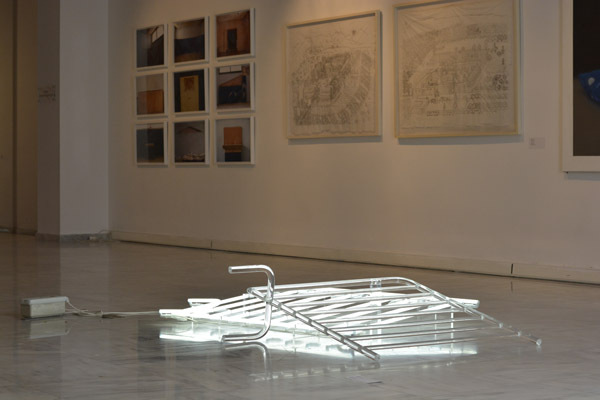 The exhibition was part of the 4th Thessaloniki Biennale of Contemporary Art, and “Barrier” was mounted at the Macedonian Museum of Contemporary Art in Thessaloniki, Greece. 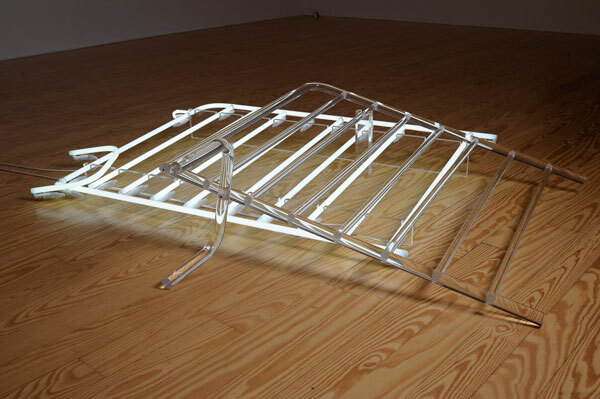 During the exhibition, a viewer stepped on the work shattering one long neon tube. In 2016, “Barrier” was shown in the exhibition PIIGS | (IM)MATERIAL GESTURES at Fondazione Sandretto Re Rebaudengo in Turin, Italy. 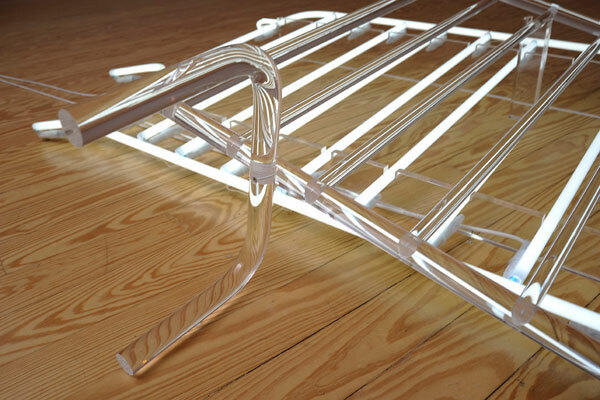 Once again, a viewer stepped on the piece smashing two neon tubes and upsetting the order of the piece. 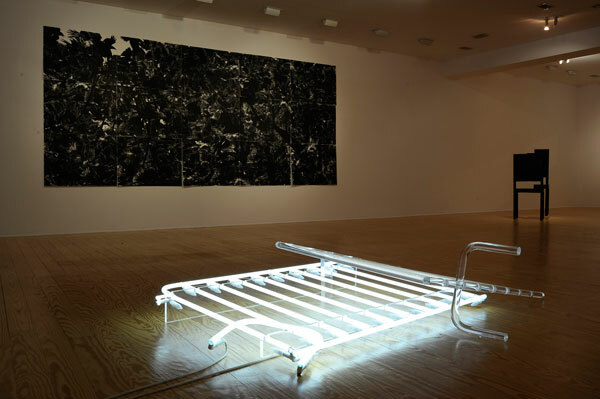 After these two incidents, the artist decided to rearrange some of the tubes to reflect in nuanced ways, the damages that occurred on the piece by the art lovers. Police barriers are enclosures; they slice public space to areas of prohibition, restricting the free movement of people. Anna Lascari discerned in the incidental marring of the piece, a furthering act of eradication of the representation of the police barrier, perceived itself as an enclosure. In Dialogos Athens 2017 “The Greek counter example" “Barrier” (variation) 2013-17 was exhibited in its new form.